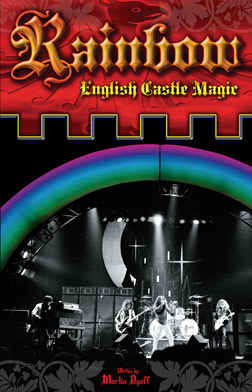 First published in 2005, Martin Popoff’s book is an album-by-album review of Ritchie Blackmore’s Rainbow and features various interviews and appraisals by the original band members on each album release. Only available in paperback direct from Martin Popoff’s website (he’ll personally sign it for you if you ask! ), the book is a reasonable read but looks like a self-published book with a fairly average design and typography. There are no photographs in the book other than a small thumbnail picture of each album cover at the start of each chapter.